Watch a webinar on 7 Ways You Could Make More Money in Your Business below, presented to you by the Event Planners Association and Justin Krane of Krane Financial Solutions. 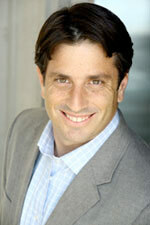 Justin Krane, a CERTIFIED FINANCIAL PLANNER™ professional, is the founder of Krane Financial Solutions. Known for his simple, savvy, holistic approach to financial planning, he advises his clients on how to unite their money with their lives and businesses. Using a unique system developed from his studies of financial psychology, Justin partners with entrepreneurs to identify, clarify and meet goals for increasing their business revenue. He works with entrepreneurs to create a bigger vision for their business with education and financial modeling.